Do you have a sewing machine and don't know quite what to do with it? 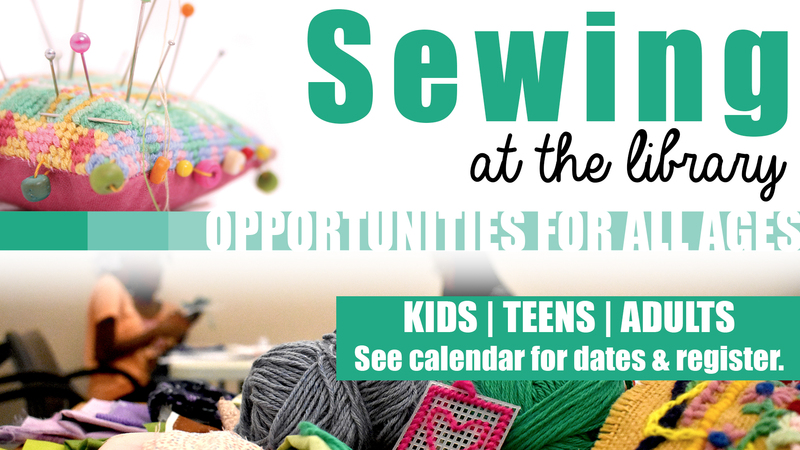 Are you interested in getting a sewing machine? Basics will be covered during this series of two classes. The sewing project will be making a 12 inch square pillow using a cream colored or pale green fabric. If you wish to have a different fabric, you may bring your own choice of fabric. Thread, scissors and straight pins will be provided. Please bring your machine if you have one. Five machines will be available with sharing occurring. This class is for 16 yrs old and up. Registration is required. Week 1 will include identifying sewing machine parts, discovering stitching without thread on drawn lines and sharing fabric yardage information if you wish to purchase your own fabric. It will also cover threading your machine, winding the bobbin and practice stitching. Week 2 will include practicing the skills taught in week 1, sharing some fabric basics, and constructing your pillow.